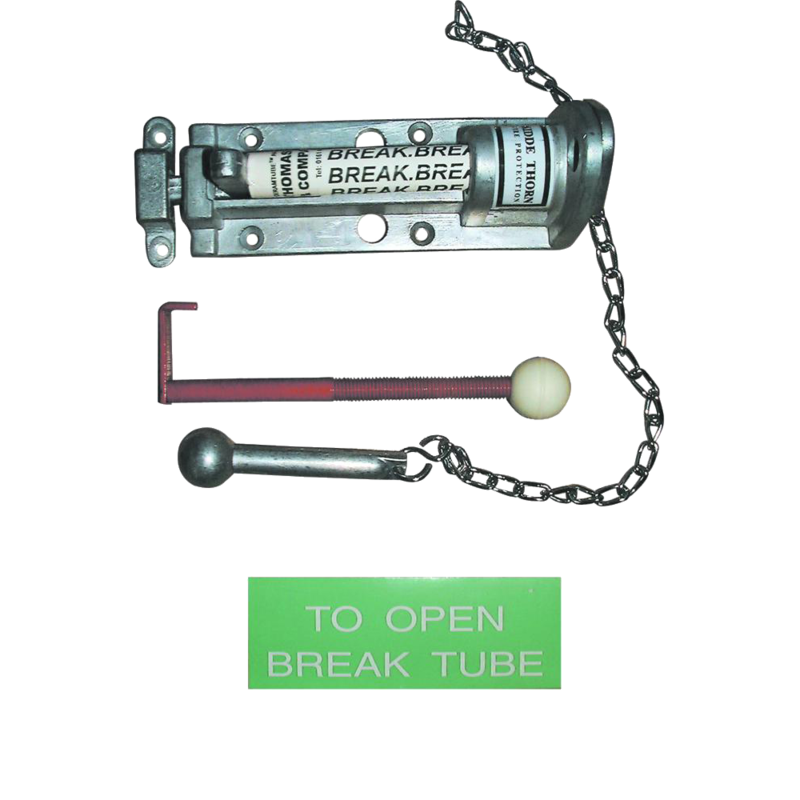 Designed for interconnecting emergency exit doors. Operates on one side of the door by breaking the CeramtubeTM and on the other side of the door by pushing the knob. Manufactured from cast aluminium, Redlam panic bolts are the economical solution to the problem of providing reliable security for internal emergency exits.